Legend has it that when Venus, the goddess of beauty and love, emerged from the sea foam, her necklace broke and 7 pearls fell into the water and formed the islands of the Tuscan archipelago. 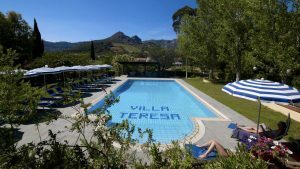 In fact, Elba is a true scenic jewel, just 1 hour by boat from the Tuscan coast, and has at least 3 climate and landscape types that make the island extremely varied and different: from chestnut and oak tree forests in the northern part of Mount Capanne to the granite cliffs that plunge into the blue sea in the southwestern part of the same mountain. In the east, however, we find all the beauty of the Mediterranean scrub and richness of its soil minerals which strongly marks the landscape and colours the surface of the rocks with shades ranging from yellow to green and from red to violet. Elba is not only a beautiful holiday place for the summer, when the heat makes us lazy and when we want only to spend our time on the nearest beach lying down and soaking in the water. Elba is much more, and the best seasons to fully appreciate everything that the island offers are spring and autumn, when the temperatures are milder than in the height of summer, and allow one to visit without stress, enjoying the marvelous beaches and the beauty and tranquility of its villages. The mild climate allows you to practice sports and activities like trekking and mountain biking, taking advantage of the many trails that crisscross the island and offer spectacular views. 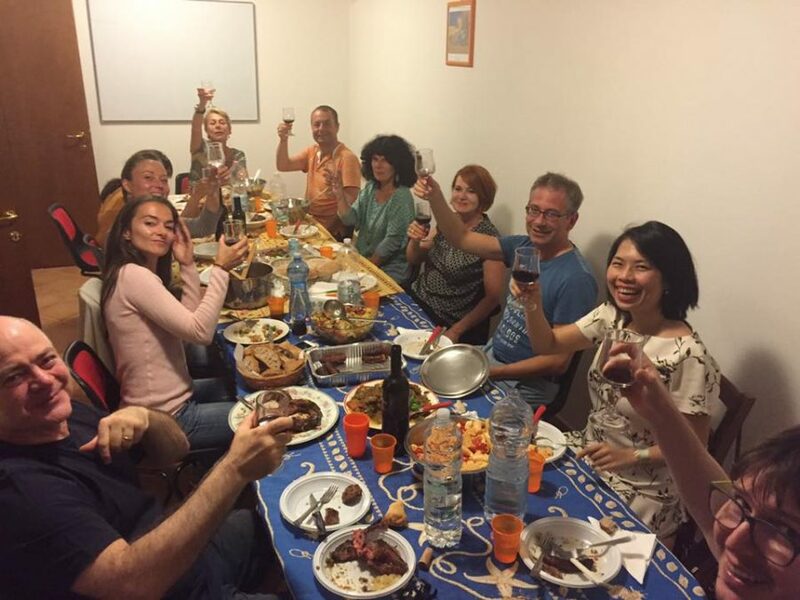 For all these reasons and for many others, what is called “low season” (May/June/September) is an excellent time to enroll in an Italian language course on the island of Elba. 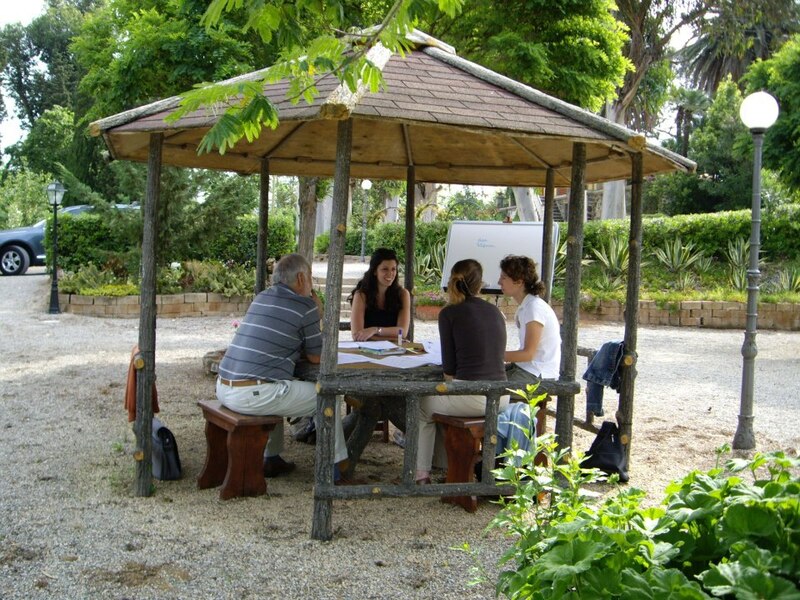 ITALIAN LANGUAGE LESSONS (40 lessons): 4 hours per day (9.30h – 13.10h), Monday through Friday, in the beautiful park of the Villa Teresa, where the school is located, in Porto Azzurro. Lessons of Italian culture: Elba and the other islands of the Tuscan archipelago; Elba’s history, traditions and curiosities; Elba and its cuisine, with practical lessons and preparation of some typical dishes of Elba and its region; reading and listening adapted to any language level; outline of Italian contemporary literature. Napoleon’s itinerary: visit to Napoleon’s two homes and to the old town of Portoferraio: after visiting Villa San Martino, we arrive in Portoferraio, the chief town and major port of the island, and continue our walk through the narrow streets of the town, which is still surrounded by strong walls which had been built in the 16th century on the orders of Cosimo I of the Medici as protection against frequent pirate attacks. 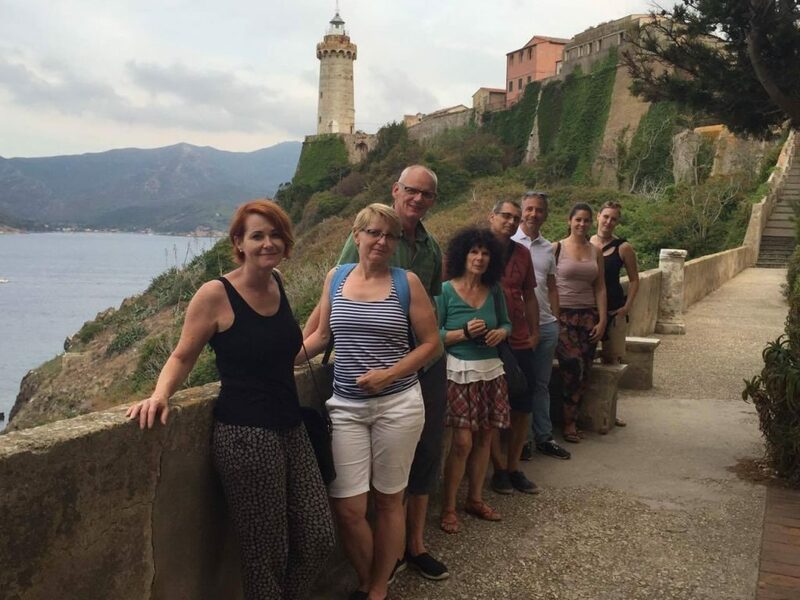 After reaching the top of the old city we will visit the Palazzina dei Mulini, Napoleon’s main residence during his exile on Elba, with a startling view of the bay and open sea. Tours to Elba’s vineyards: over the 20th century, Elba’s wine production was reinvigorated thanks to farmers who invested in the activity, leading to the rebirth of many wineries, however small, that over a relatively short period, thanks to modern technologies and the guidance of wine experts, succeeded in producing wine of the best quality, both with traditional, native grapes of the island like Ansonica and Procanico, but also with the introduction of new ones. 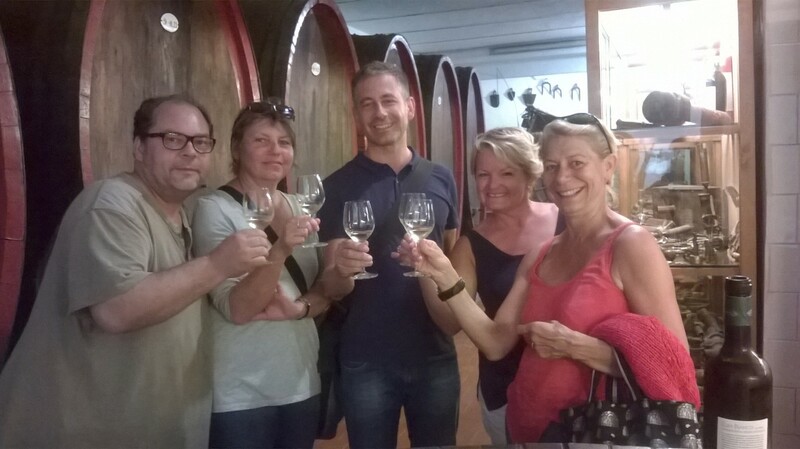 During our tour, we will visit several wineries and taste red and white table wines, dessert wines and the famous Aleatico, a sweet red wine produced exclusively on Elba. 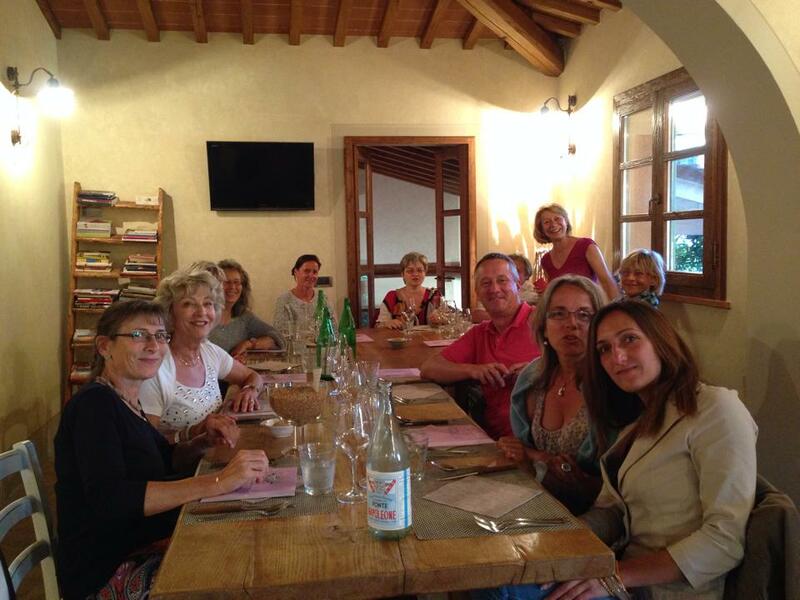 Guided tours to characteristic villages, discovering their history, traditions and curiosities and tasting some typical products, such as the “schiaccia briaca”, a delicious cake topped with pine nuts, raisins and dried fruit, and mixed with the Aleatico wine that gives the red colour and particular taste. Walking tours and light trekking, in collaboration with the official guides of the National Park of the Tuscan Archipelago. 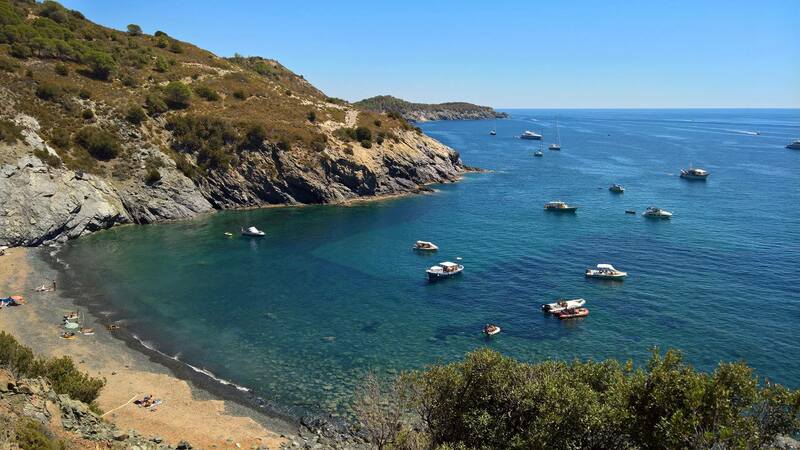 Only a few kilometers away from the school, in the village of Rio dell’Elba is one of the Park Houses, starting point for the historical and nature walking tours, which take place every Friday afternoon to discover the landscape, flora and wonderful views. 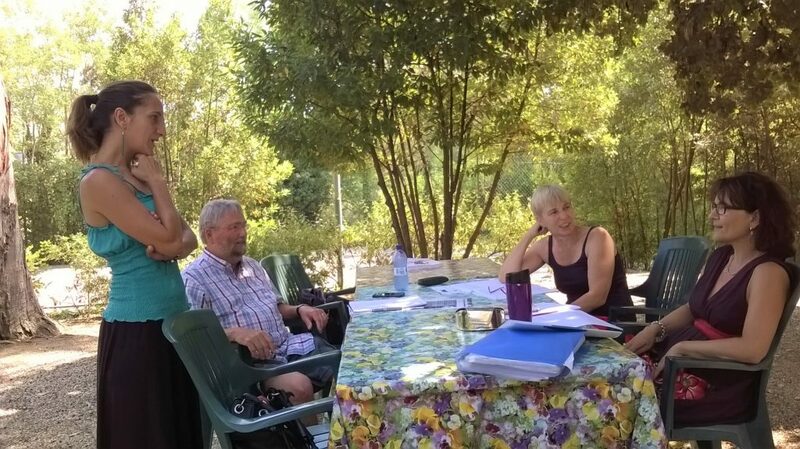 Group course in the morning (4 lessons of 50 minutes daily); activities in the afternoon. Registration fee: 50€.- It includes administrative fees, the expense of textbooks used in the courses, housing assistance, certificate at the end of the course. The teaching materials are carefully selected for our conversational method and are included in the price of the course.